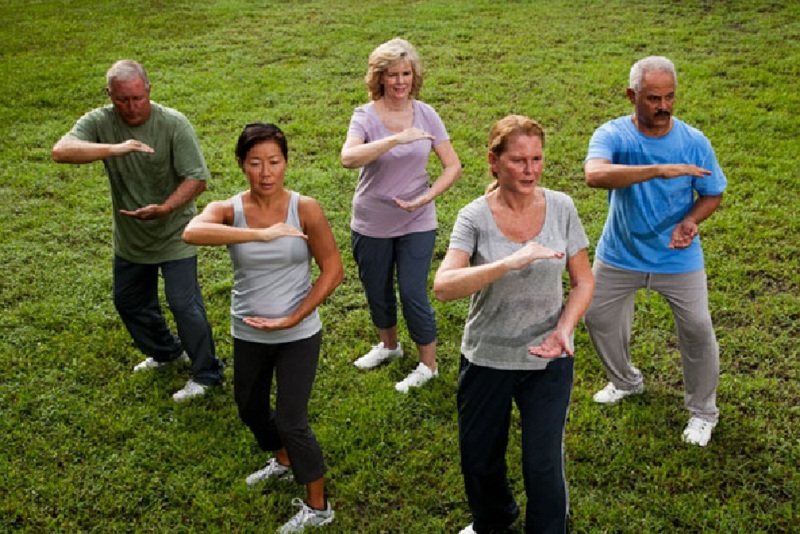 A new?Journal of Neuroimaging?study provides insights into the biochemical mechanisms by which Tai Chi — a mind-body exercise — may provide both physical and psychological benefits. It is often described as “meditation in motion,” but it might well be called “medicationin motion.” There is growing evidence that this mind-body practice, which originated in China as a martial art, has value in treating or preventing many health problems. Also called tai chi chuan, is a noncompetitive, self-paced system of gentle physical exercise and stretching. Each posture flows into the next without pause, ensuring that your body is in constant motion. Using magnetic resonance spectroscopy, a non-invasive method of measuring brain and muscle chemistry using MRI machines, tests conducted in 6 older adults enrolled in a 12-week program revealed significant increases in a marker of neuronal health in the brain and significantly improved recovery rates of a metabolite involved in energy production in leg muscles. “The benefits of Tai Chi have been well known anecdotally; however recent research such as our study can quantify these improvements using objective measures,” said senior author Dr. Alexander Lin, of Brigham and Women’s Hospital and Harvard Medical School.